“Before I met Keith, I was shy,” says Little Brother Noah. But that shyness slowly melted away as he and Big Brother Keith bonded over a shared love of baseball. Noah recalls Keith always making time to come to his baseball games, joining his mom in the stands so he had two caring adults cheering him on. A few years into their match, Keith encouraged Noah to take advantage of the college readiness resources Big Brothers Big Sisters offers for Littles. ACT prep classes, information sessions on financial aid, campus tours and one-to-one individualized help are all available to assist Littles like Noah. ““I went to the ACT prep that Big Brothers Big Sisters offered, and I think it really did help me get a better ACT score than I would have if I didn’t go,” Noah noted. “I toured St. John’s, St. Thomas and Augsburg. Keith was there every step of the way. And then on the car rides back to my house he would break down what the college had. ‘Okay, so what did you see that you like, what didn’t you see that you didn’t like,’” Noah continued. All those college preparations that Noah and Keith did together paid off. 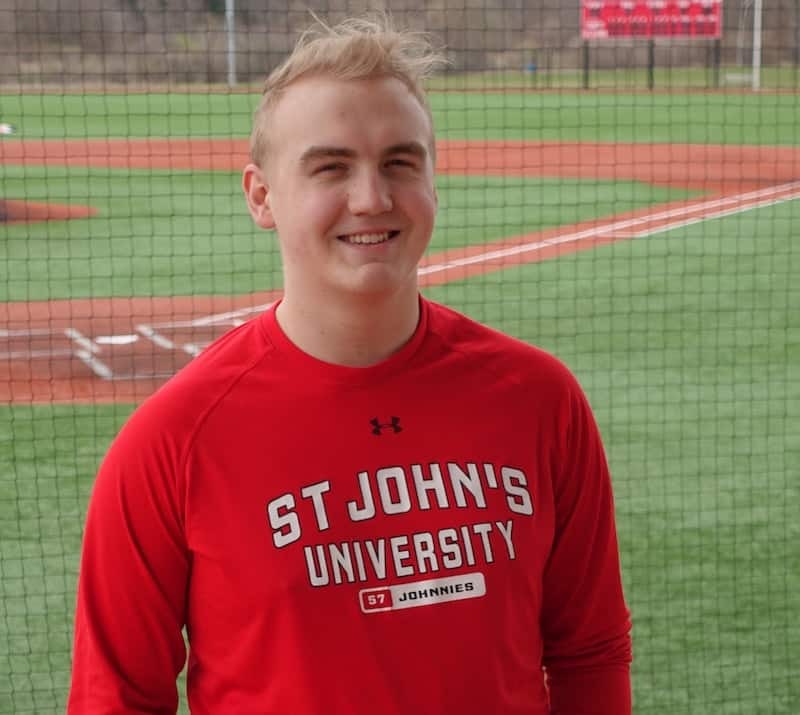 Today Noah is a poised and confident global business major at St. John’s University.